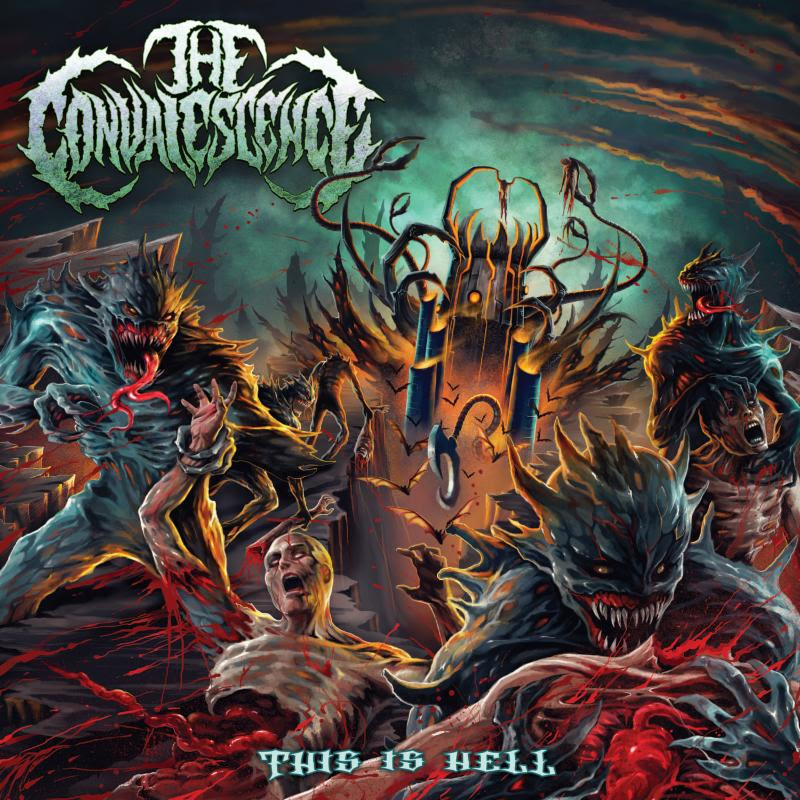 Symphonic Death Metal unit/recent Unique Leader signees THE CONVALESCENCE will release their This Is Hell full-length via Unique Leader Records on September 1st. The ten-track offering was produced by John Burke (Forever In Terror, Captain Kid, etc. ), at Vibe Studios, mixed and mastered by Christian Donaldson (Cryptopsy, Despised Icon, Beyond Creation, etc.) at The Grid and comes wrapped in the macabre cover art of Coki Greenway. THE CONVALESCENCE has spent much of the year since completing the album road-bound with treks that have included both legs of The Resistance Tour with Otep [which was recently cut short] and The Brotherhood Of The Snake Tour with Testament, Sepultura, and Prong. In conjunction with the release of This Is Hell, the band will join The Blood Stained Earth North American tour featuring UK-based metal icons Venom Inc., New Orleans’ blackened death thrash legion Goatwhore, and Portland punk thrashers Toxic Holocaust. See all confirmed dates below. Founded in the spring of 2011, THE CONVALESCENCE is a six-piece collective featuring vocalist Keith Wampler, guitarists Brandon Davis and Zac Lunsford, bassist Ronald Buckley, drummer Charles Webber, and keyboardist/vocalist Katie McCrimmon. Together they fuse deathcore with theatrical elements of black metal and the shredding guitars and blast beats of modern death metal. The band has remained mainly independent over the years with constant touring including tours with As Blood Runs Black, Rings Of Saturn, Cryptopsy, Disgorge, Soreption, Suffocation, Cattle Decapitation, Abiotic, and many more as well as joining Slayer, King Diamond, Killswitch Engage, Asking Alexandria, Hatebreed, Slipknot, Whitechapel, and many more on festivals including Mayhem Festival 2015, Dirtfest 2015 and 2016, Rock Fest 2016, and Texas Tattoo Music Festival 2016. This entry was posted on July 2, 2017 at 1:00 pm and is filed under Heavy Metal, Metal, Music, news, rock music, world news with tags Death Metal, metal albums 2017, Metal News, metal odyssey, the convalescence. You can follow any responses to this entry through the RSS 2.0 feed. You can leave a response, or trackback from your own site.